An Audit Scotland report has suggested that "challenges remain" despite the merger of the eight fire and rescue services being managed effectively and the single Service's performance consistently improving since being created. 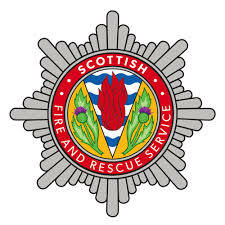 The report says that the Scottish Fire and Rescue Service (SFRS) maintained operations during the merger process, with no impact on the public. However, it also states that a long-term financial strategy is now urgently needed to address a significant potential funding gap. It also notes that progress is being made towards removing the differences in how the eight predecessor fire and rescue services were managed and operated, and establishing a national service. valuable opportunity to share the lessons of how this was done with other public bodies going through a merger process. The report states that the SFRS is on track to exceed the £328 million of savings planned by 2027/28. However, Audit Scotland estimates that potential future funding reductions may result in a funding gap of £42.7 million in 2019/20. The report recommends the SFRS agree a long-term financial strategy by the end of March 2016 to address these cost pressures and identify how to make further savings.